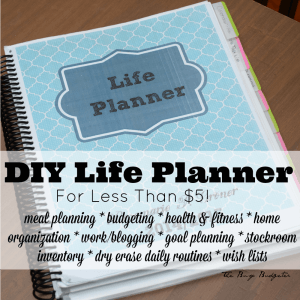 I created this DIY planner when I realized how expensive an Erin Condren Life Planner was. I ended up loving this planner and it served me well until I could afford an Erin Condren! Forget The Schedule Book, Start The Year With a DIY Planner for your whole life! Completely Customizable to Every Aspect of Your Life with a DIY Planner. My entire life has been contained in schedule books for about 4 years. It's the habit that has had the most impact on my organization by far. I spend months finding the perfect planner and everything I've ever done from appointment to social events to tasks are contained in it. Every year, I spend a few days transferring all of my routines, schedules and budget info to the new planner. I have an electronic calendar of course, I copy events that my husband will need to know about on that so we're on the same page, but there's nothing like having a visual display of your week that you can see all at once. While searching for my 2015 schedule book, I was so tempted to get this $50 schedule book from Erin Conden. I've never spent more than $20 on a planner, and last years was free! I downloaded the free one from here. As I contemplated that purchase (by contemplate, I mean try to convince myself that this is a totally reasonable purchase and then figure out a way to log it as groceries into our budget without my husband questioning it), I thought that if I was going to pay $50 for a planner, I really wanted to be able to customize it to my life- add in budgeting sections and health and fitness for example. Which is how I ended up with a diy planner! Heads up! If you’re struggling with meal planning, cleaning routines and home routines the FREE Home Rescue Challenge was made for you! I decided to try to make my own. If I was going to take the effort to do it, I was going to do it right. I wanted this planner to incorporate every aspect of my life, and last for at least two years. I sat down and sketched out the sections that would be important for me. Below is a list of what my planner includes, just click on the section to be taken to the source to print your own copy. You can also check out my Pinterest “Printables” Board for more ideas or search Pinterest directly for what you're looking for. As it turns out, making a diy planner isn't easy, but it's worth it if you can't pay $50 for the life planner that you want! Free Printables Linked Below By Number. 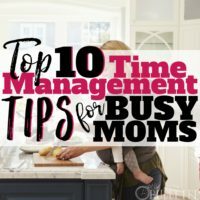 Master To Do List: DIY Home Sweet Home: Things that I'm slowly working my way through like decorating the new baby's room, doing an overhaul of the stockroom, etc. A Laminated Check List of Daily and Weekly Chores: Happy Money Savers: I can check off with a china pencil or dry erase marker. This is separated into my morning/afternoon/evening routines and weekly routines to follow my FlyLady routine. Meal Planning: I Heart Planner: 1 page monthly spread with 5 weeks, and space to write in breakfast, lunch, and dinner each day. This was the hardest to find since most people don't make all of their meals at home. Stockroom Inventory: Organized Home: We use a stockroom method to save time and money on things needed to run the house (you can read more about that here), This creates an inventory of the items so I can tell at a glance what needs to be restocked. Recipe Index: Organized Home: Sorts recipes by type (beef, poultry, sides etc), listing the main ingredient and where the recipe can be found (i.e. Pinterest: “Foodie Board” glazed carrots or “Once a Month Cookbook' pg. 228), so that when I menu plan, I have all of the options available to me and can easily find the recipe. 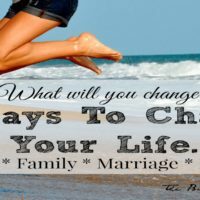 Batch Cooking: Money Saving Mom: Planning pages for 24 sessions (once a month for the next two years). Books To Read: DIY Home Sweet Home: I use Goodreads to find recommended books and keep a list so I can just reserve from the library online. Bill Payment Checklist: DIY Home Sweet Home: So you can tell at a glance that you haven’t missed a payment. Monthly Budget Planned and Spent: DIY Home Sweet Home: we use Calendar budget online for daily tracking/budget envelopes – this is just a quick overview of what we had planned and how we did. Don't forget to subscribe to the blog to receive a FREE copy of the 14 page Ultimate Money Saving Checklist: 200 Ways to Reduce Your Spending, Increase Your Savings and Achieve Your dreams! to include in your planner. I printed the sections two sided from blogs giving them away for free. Where there was an uneven number of pages, I added my favorite (albeit dorky) book quotes. At Office Max, I had them bound, the indicated pages laminated and a clear cover and black backing put on for $4. I found pen loops in a clearance bin at Staples that glue permanently into the back cover for 50 cents a piece, I bought two- one for a pen and one for a dry erase marker. Boom. I had a diy planner for less than $5! I had these stick on tabs to separate my sections in my office supplies, you can find them below. 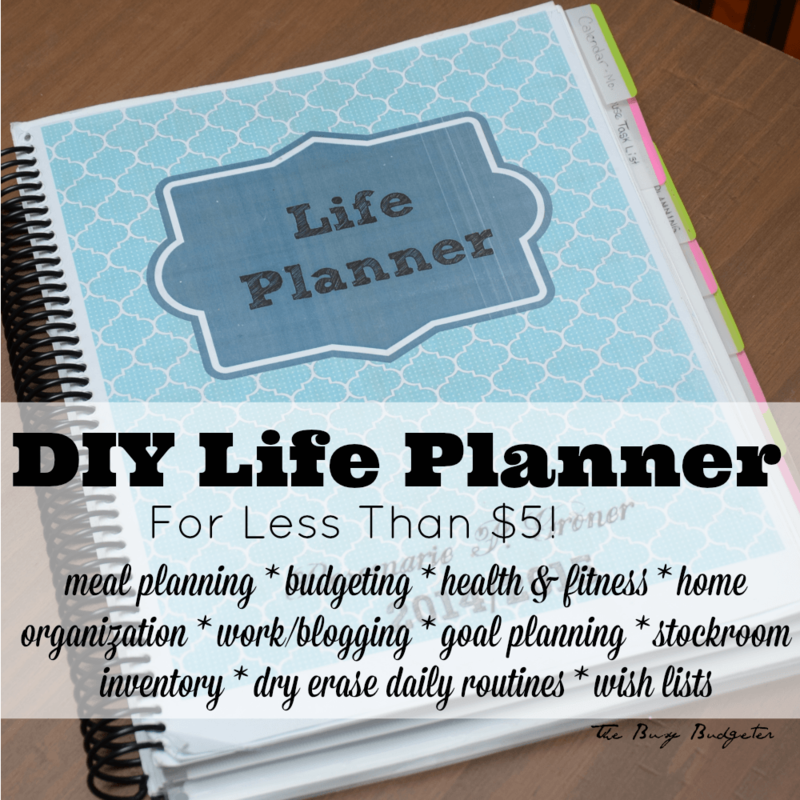 I have an amazing, customized diy life planner that will last me for two years for $5! If you can't find accessories in the clearance section, and you really want them… You can buy them online below. These are affiliate links, which means that your price doesn't change at all but I'll be compensated in a small way if you order through this link. It's just a way to support my work. This took me almost 10 days to plan out, print out, and find the perfect printables but was well worth the time and effort that went into it (plus, it was kind of fun). You can click on the sections above to be taken to the printable that I used, which should save you a considerable amount of time. 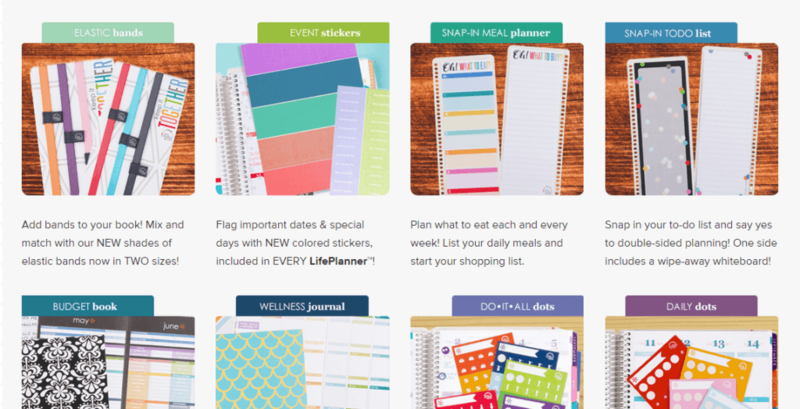 Erin Condren's Life Planner with customizable options. Keep in mind this is a labor of love! You'll save money, but this is something that will take you a long time to put together. If you don't have the time to do this and you want the Erin Condren life planner, I have a code for $10 off your first purchase. You can grab that by clicking here. 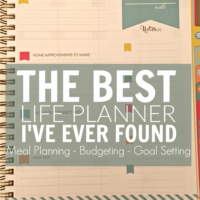 Eventually, I'll be able to fit the Erin Condren planner into my budget, but for now… the DIY life planner rocks! If you’re ready to finally get your house under control, you can sign up for our FREE Home Rescue Challenge and we’ll walk you through the 3 simple routines that will change everything about the way you manage your home routines. Will make a diy planner? I love this idea! I need to sit down and make one for myself. I love how its perfectly customized to fit your needs. You should! I had so much fun making it and even more fun using it. This is awesome! I do all my planning on spreadsheets and apps these days, but there is something so attractive about a paper planner. I love lists, pens and paper! I do the same Ronnica, there’s still a place for electronic organizers, but I absolutely LOVE having my whole life on paper all spread out where I can see it at once. thank you so much! 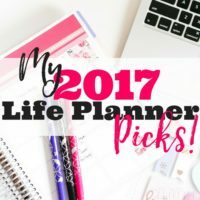 I have been going all over the place trying to find planning ideas to start the new year. I’m glad you like it! I’ve been using mine since November 1st and am completely in love with it! Will this make a 8×11 size planner? I was wondering if there was anyway to make smaller planner that will fit in my purse? Everything I used was 8×11, since that’s what I was looking for but you can do the same thing in any size. Just map out what you want in your planner and search Pinterest for pocket size, or half page printables. 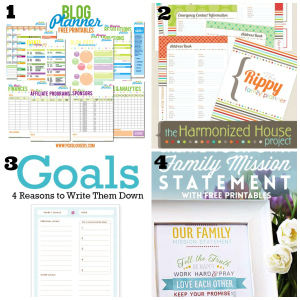 You can also look through my “Printables” board on Pinterest for ideas. I’m a bit confused. Love the free downloads but how can this cost less than five dollars? Printing that many color pages alone would cost way more than that! What am I missing here?? :). Thanks. Hey Deb! Definitely print at home! That makes all the difference. We have a laser printer that my husband got for free on craigslist a few years ago. We buy ink for it for about $100, but the last time we replaced the ink was two years ago. We stock up on printer paper at Staples during their back to school promotions every year. We either get them for free, or up to $2/pack after rebates. If your ink/printer is expensive, consider printing in grayscale. Color is beautiful, but this is designed by you, you can make it elegant in black and white and still love it. Two sections of mine are done in black and white, just because I wasn’t in love with the color combos clashing and I don’t think it detracts at all. Enjoy! Thanks for commenting! Glad you posted this comment. I agree it costs more than $5 printing at home is not free. Title misleading. I’ve shared this with a few people already! I love this! Can’t wait until I can start putting mine together! Does Staples have a comparatively priced service? The closest OfficeMax to me is 30+ minutes away, whereas there’s a Staples across the street from my job. I know they do printing and all, I’m just wondering if it is similarly priced. Also, approximately how many pages did your planner end up being? I’m really excited about this because I love planners, and I’ve been spending about $15-$20 on an Orange Circle Studio Do-It-All planner for the last two years or so, and I was contemplating purchasing an Erin Condren this year. I considered doing one myself, but I was completely lost as to what I wanted to put in it, so I’m really thankful that you’ve done most of the work! Laura- you sound like my doppleganger! Sorry for the delay, I took a short break while we welcomed our little girl over the new year. Staples has similar pricing, mine was over 300 pages (online it says you cant bind that many- I talked to him in person and he did it fine.) Keep in mind, mine is 2 years though. Yours will likely be shorter. It’s amazing to do it yourself! It’s by far the best schedule book I’ve ever had. What a brilliant idea! I’m going to adapt this to create my own health journal customized to my own health issues! Brilliant and frugal! Thank you for sharing such a great idea! I love that you’re thinking of it that way! What a great idea! Fantastic ! I have been reluctant to begin a binder System as I Use my Android phone for most things. Yesterday I found an App ” MY Binder” on Amazon. I will be applying your ideas to my Binder! What size did you make it? I bought an Erin Condren…. it’s nice. But LACKS much of what I really want…. but I LOVE the size of the Erin Condren. Is your 8.5 x 11 or did you customize the size? I did 8.5×11 because I love the large planners, but I found tons of choices in a variety of sizes. When you search Pinterest, specify your size (i.e. 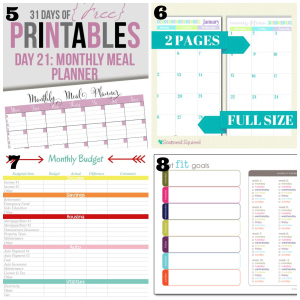 monthly menu planner half page”) and you’ll find tons of options. Hey! love the idea. I’m trying to convince myself the Erin Condren is a necessary buy but this post makes me think otherwise. What do you use for the binding of it? DO you post that anywhere and i over looked it? You can go to either Staples or Office Max to get it professionally spiral bound for about $3 if my memory serves me. That’s what I did. It’s also great for ebooks or anything else you print off. Haha, That was exactly how I felt! I really enjoyed this post. My trouble is always perfection over progress. I think I’ll make a 3 month planner and then make improvements with the next version once I’ve given it a road test. Thanks again for the direction. Thank you so much! this helped me ALOT. This was so helpful with putting together a new planner for myself! With two businesses, I find tracking everything on my phone to be more of a hassle than a help, so Thank you. I did have a couple of questions though. First, did you use a heavier duty paper and if not, do you know if I could and OfficeMax would still bind it? Also, I am putting mine together in half-size sheets because I need to be able to stow it in my purse. Do you know if OfficeMax can bind half-size vs. 8.5×11? Happy to help! They should be able to do that easily. I always get mine spiral bound, so the size wouldn’t really matter, they would just trim the excess. I used Card Stock for the cover and the back page and then have a few pages that are laminated (anything that I wanted to be dry erase, like check sheets). I really wanted to have a thick cardboard piece on the back, but no one could bind that for me. So I’ll figure that out next year. They can bind heavier stock paper, but keep in mind that adds thickness. My planner was above what they say they can bind (I talked to them on the phone and he said he could do it, they just normally don’t), but it’s also good for two years. So weight that out. Happy planning! I’ll copy this to you in an email as well in case you’re trying to get this tackled today and don’t have time to check back. Is there anyway someone can make this for me???? It would be such a blessing. Happy to pay for time and supplies and shipping and handleing!!! Hey Amy! The fun part of this is personalizing it to be exactly what you want. I don’t think you’d enjoy it as much if someone else designed it. Hi Im a huge ec planner girl well planner organizer anything girl….. i love this and will be doing it. Could you email me more pictures of yours? I just like to have a rough draft to go by. Thank you for your resources. I was interested in using something to help with dates, and anniversaries, but the link to Dates to Remember (anniversaries, birthdays, holidays, special events): KD Buggie Boutique is broken… do you have an update one? Thanks for your work! I personally can’t wait till the LSWL Planner fits my budget, but it is ultimately irresponsible to overspend before I am in control of my resources. Love the collection of pages, I have chosen my favorite, and know I am getting the right start. Can’t organize without a plan! This is so great I try to do a lot electronically but some things aren’t appropriate for my work calendar and also it just gets too busy, and I like having my hands on paper I have been wanting to personalize and you are giving me a great jumpstart. I do think I’ll do 3 months at a time do decrease bulk – and also to update if what I do first isn’t working for me. Also, that will allow me to include a health (diet/fitness) journal & random thoughts journal. Thank you for sharing all of your work!